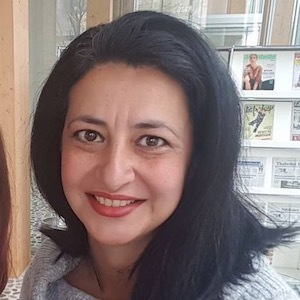 Bahar Koçal was born in Solothurn/CH in May 1974 as the third daughter of a guest worker family who had moved to Switzerland in the same year. Her parents grew up liberal in Turkey, yet increasingly they sought the support of religious communities in Switzerland. They also educated their children according to traditional political Islamic rules. Today, Bahar Koçal calls for a ban on headscarves in schools and strongly supports the separation of the state from religion.